Finding the Absolute Best Hunting Rangefinder Just got A lot easier. We have done all the legwork for you. We go to extra lengths to make sure that you are able to find exactly what you are looking for. We actually enjoy taking the time to learn about the topics and products we list here. It’s in our best interest to take the time and do a good job so everybody who visits can make informed decisions when it comes to making a purchase for themselves, or buying a gift for a loved one. Now, Back to finding the absolute best hunting rangefinder. 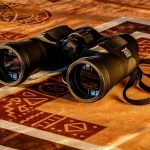 Having the best rangefinder for hunting in 2019, may just make the difference for you on your next hunt. It just makes good sense to know how far away your target is. It doesn’t matter if you are trying to figure out how far you are from the pin on the 7th hole, or if you are trying to drop an elk from 650 yards away. The right rangefinder can be invaluable, they make an excellent addition to your arsenal no matter what you are hunting. Laser rangefinders give you results at the Speed of Light, Ultrasonic rangefinders give you results at the Speed of Sound, Very Big difference. Laser technology was developed for the military in the 60’s. The laser projects a beam of light onto the target and calculates the distance by How long it takes the beam to be reflected back. Light travels extremely fast, so you get results almost instantly. 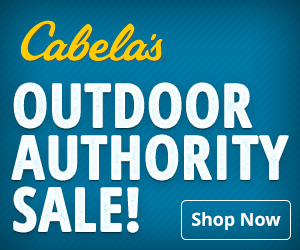 There are a variety of hunting rangefinders for sale on the internet. So how do you decide which one is best for you? We have picked out five different rangefinders, listing their pros and cons while highlighting where they shine best. We have also provided information on what to look for when selecting a rangefinder. An informed buyer is a smart buyer. This was chosen for best overall rangefinder because it is a nice combination of features and quality while being affordable enough for almost any person to enjoy. 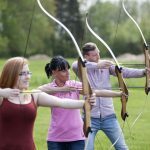 Although ideal for someone who is bow hunting, this product can also be great for others, keeping in mind you have a limited range of 550 yards. In a hurry?? You can check the Price of the Nikon 8397 here. Nikon’s most compact laser rangefinder, making it easy to bring with you wherever you go. Uncluttered, easy-to-read screen displays ranges in 1-meter/yard intervals. Has a measurement range of 6-550 yards. Ultra-compact and light, making it easy to travel with. Multilayer coatings on the optics minimize the loss of light due to reflection, ensuring a more natural, clearer view. The long eye relief allows for sufficient space between your bow and rangefinder. It also provides a full field of view even when wearing eye glasses. This rangefinder goes to sleep too fast. It powers off after eight seconds, which Nikon sees as a positive thing. They state it is to save battery life, but they could have made it wait just a little bit longer. It would have been nice if you could either change the seconds manually or be able to turn off this feature. It’s so light that it can be hard to hold still. This makes it difficult to keep your target in the crosshairs. This was selected as the best rangefinder for gun hunting because of its enormous range, coming in at 1,300 yards. 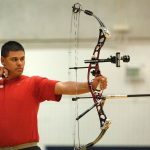 The distance is what makes it appealing for people who are gun hunting, but it works just as great if you are bow hunting or target shooting. Vortex makes some really nice optics. If your ready, You Can Check the Price Here. 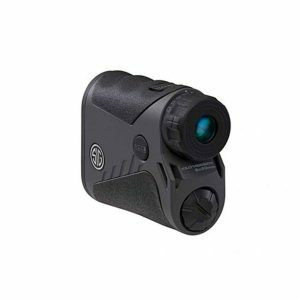 This easy-to-use rangefinder features a clean, illuminated display with a highly intuitive menu. It has a high range of 1,300 yards for viewing objects far off in the distance. HCD (Horizontal Component Distance) mode displays an angle compensated distance. LOS (Line of Sight) mode allows you to calculate long distances and high angle shots with increased precision. The compact, ergonomic and lightweight body make it easy to bring anywhere. Fully multi-coated lenses deliver optimal light transmission, making it easier to see your target. Textured rubber armor provides a secure, non-slip grip to help prevent dropping the unit. Water and fog proof, and capable of working in temperatures from 14 to 131 degrees Fahrenheit, allowing for use in most weather. Includes neck lanyard and removable utility clip for added convenience. It is on the pricier side, being the most expensive one featured here. 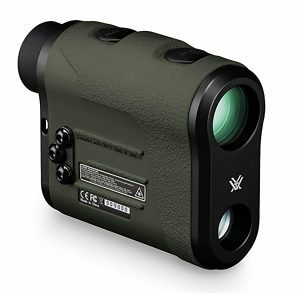 The three click operation and readout are slower than many other premium rangefinders. The reason why this rangefinder was named the best for bow hunting is that the AI technology it possesses accounts for slope when determining distance. This technology can also be helpful for others, but the range isn’t the best for people who like gun hunting. Some users have mentioned that it’s not really easy to use while wearing glasses. However, I wear glasses all the time and I have had no issues at all. 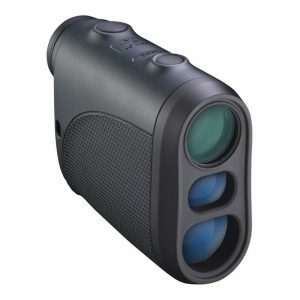 The 6x magnification helps to keep your targets in focus and provide a clear and sharp image. The AI technology is a wonderful feature, as it accounts for the slope in the distance calculations. The 450-yard reflective range allows you to view targets from a decent distance. The lightweight body makes it easy and convenient to bring everywhere. Powered by the included CR2 battery. 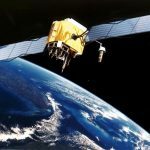 It is capable of providing fast and accurate readings, making it easier to track your target. Does not have autofocus, which could cost you valuable seconds when hunting. Although it is lightweight, the unit is an odd shape, making it difficult to put it in your pocket. 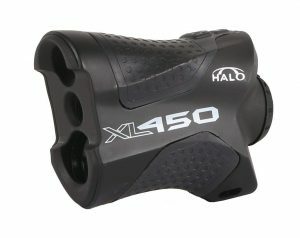 The Halo XL450-7 Makes a Good Rangefinder for Bow Hunting at an Affordable price. Check the Price Here. 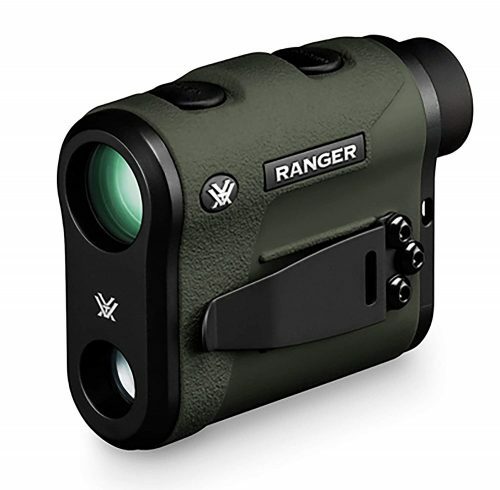 Named Best Bang for Your Buck, this rangefinder has different technologies and features built-in that improve image quality, accuracy and power without over complicating things. This unit is a great choice for gun hunting because of its decent range, but people bow hunting and target shooting will very likely be just as happy. The 6x20mm optics with SpectraCoat anti-reflection coatings allow for superior light transmission and clarity, making it easier to keep your eye on the target. BDX (Ballistic Data Xchange) is capable of providing your BDX sight or riflescope with an automatically illuminated holdover dot through Bluetooth pairing. The range on this product is 800 yards, making it capable for you to view targets from a good distance away. The LightWave DSP Technology produces fast and long-distance calculations helping to improve your chances of tracking and hitting your target. HyperScan technology provides four range updates per second in scan mode. The Angle Modified Range (AMR) technology uses an onboard inclinometer that reads incline and decline angles and accordingly modifies the effective ballistic shooting range to the target. Online product images show a red LED display with hash marks for measuring. What you get is a black LCD display with only a circle and no hash marks, which can be hard to see against dark backgrounds and in low light conditions. The waterproof and fog proof optics, along with a rubber armored body, makes it ready for any weather conditions. The 6x magnification gives you plenty of power, while maintaining a wide field of view to track targets on the move. Includes a fast-focus eyepiece with precision clicks for quick adjustments. Includes battery, lanyard (not really) and Сordura case. Features a high contrast LCD display to make it easy to read. It’s lightweight and compact, making it easy to bring anywhere. Even though it claims to be fog proof, there were instances where it would fog over in cold weather. Did not come with a lanyard, even though it states it does. There are several different features you will want to compare before selecting your rangefinder. Be sure to take a few minutes to find out these details before purchasing a product that may not be your best fit. Maximum Range – This is how far you will be able to see through the rangefinder. 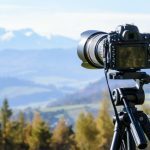 Keep in mind that even though some rangefinders might list really high distances, understand that calculation is for when all conditions are ideal. This includes sunlight, clouds, fog, among others. So, unless you are having a perfect day, that range might not be so far. To get a better idea of how far they can perform, read reviews from people who have already purchased the product. Size and Weight – Although almost all rangefinders come in at under a pound, it still can’t hurt to compare weight. For those who will be carrying it around for long stretches, it can become annoying for some. The size is also something to take into consideration, as you may have limited space when you are out hunting. Ease of Operation – Most rangefinders are simple to operate, usually requiring just a click of a button to scroll through the various options. Easy to Read Display – The internal display will show you items such as distance in meters or yards, depending upon your settings. Other items it may exhibit include the target mark, laser irradiation mark and battery life. Speed – You don’t want to risk missing anything, so it is important to have a rangefinder that can quickly focus in on objects. Also, there are some rangefinders that go to sleep after a certain period of time to conserve battery life. If the rangefinder you are looking at has that feature, see how long it takes to wake up out of sleep mode. 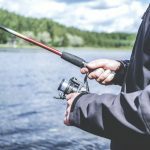 Battery Life – You don’t want to be out hunting when all of a sudden your battery dies. Find out how long the average battery lasts so you know what to expect. You should always carry a backup anyway, just to be on the safe side. Some rangefinders are completely waterproof, while others are just water resistant. If you know you will be in areas that generally have more rainfall or damp and humid environments, you should definitely go with a waterproof rangefinder. You always have a chance of water damaging your rangefinder if it is water resistant. Also, if it is not waterproof, that means it is also not fog proof, which can be a problem for some people. Optic Coating – This is something that can make a difference, but not necessarily matter. Different types of coatings can have various effects on the brightness, contrast and clarity of the image you see. The differences are not that obvious, and since you are using this product to view distance, it probably won’t matter that much to you. 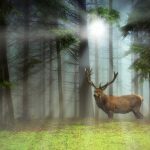 If you want a rangefinder that displays the most accurate images when it comes to color and brightness, it is best to read some of the reviews and see what other consumers think. 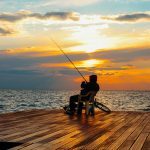 Warranty – Although hopefully, you will never have to use it, it is reassuring to know that it is there. Any company that stands by their products should have no reason not to offer one. Price – Depending on how much money you want to spend will obviously help make your decision. Rangefinders can vary in price by quite a bit. When comparing products, consider all the factors listed above, decide what is most important to you, and see what your price range will allow. More than likely you can find a compromise that you will be happy with. Question: What is the ideal range I should have? Answer: As always, it depends on your purpose and preference. On average, bow hunters only need about 100 yards. 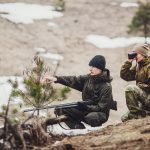 Rifle hunters usually require more, anywhere from 200 to 800 yards, depending on what they are hunting and how skilled they are. Question: Is a laser rangefinder safe for your eyes? Answer: Yes. Rangefinders that are commercially available are Class 1 laser devices, ensuring they will not harm your eyes. Question: What kind of maintenance is required for my rangefinder? Answer: Rangefinders are pretty basic and do not need a lot of attention. Keep them clean and wipe the lenses with a microfiber cloth. If you haven’t used your rangefinder in a long time, check the battery area for any signs of corrosion. When putting your rangefinder away for long periods of time, say during the off season of hunting, take the battery out to avoid any damage to battery area. Question: My rangefinder is not working properly. Who should I contact? Answer: Did your rangefinder ever work properly? Or is it new and it arrived working that way? If it was functioning fine at one point, first consult your manual and see if you can find a solution in there. If not, see if the company provides customer support either through the phone or the internet. It may sometimes be easier if you do a search for your problem. If it is something common, you can probably find a solution right away. Or,If it is new and arrived working that way, make a judgment call to see if it is an easy fix or not. If not, return the item and ask for a replacement. There is no reason to go through the hassle of troubleshooting a problem if it is a brand new item. For bow hunting, one of the best choices is the Halo Rangefinder. This is based upon the very affordable price and the technologies it uses. The AI technology that it has accounts for the slope, which is a rare feature to find on a rangefinder at this price point. For rifle hunting, a great option to pick is the Vortex Rangefinder. 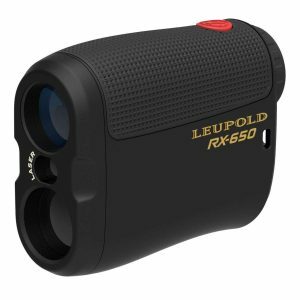 The price of this item is on the higher side, but it provides the farthest distance out of the various rangefinders mentioned. If money is an issue, the Nikon Rangefinder is a good alternative.